I've been to this branch once (when i was still pregnant with Baby Gian) with my girlfriends during our once in a blue moon girl's day out. I made a note to myself to bring my chicken girl, Kyla and the hubby here but never got a chance to do so. I only remembered about it again when hubby asked me where to take my mom for lunch before she flies back to the Philippines to attend my nieces' graduation ceremonies. 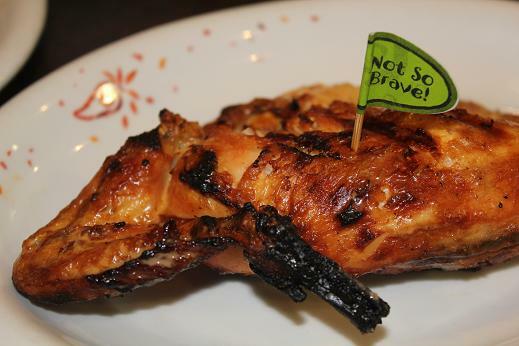 Without thinking twice, I recommended Nando's Chickenland. I love the Portuguese feel injected in the place. I am a sucker of exploring different food and culture from different countries. 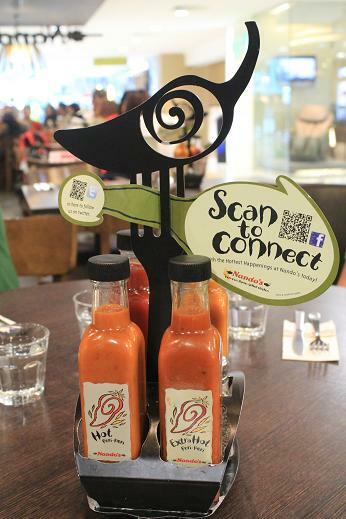 Nando's sauce holder with their signature chili. The place was pretty packed at lunchtime but when they saw that we have a baby in tow, they led us to a corner round table that can fit 6 pax. We could see Nando's kitchen from a distance. 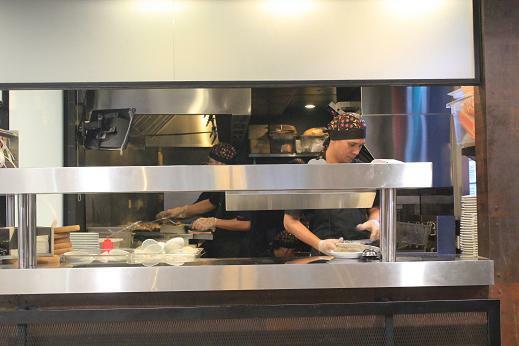 It was interesting to watch them how they prepare our food. Hubby and my mom let me decide what to order and since I haven't tried any of their peri-fect platters, I ordered the Peri Platter which was just good for us (4 pax). 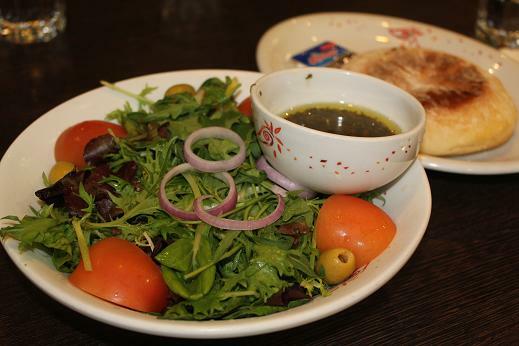 We were first serve with the Portuguese salad and bolo bread with butter. The vinaigrette dressing blended so well with the fresh veggies. It's my kind of salad. Hubby and I have been trying to avoid calorie rich salad dressings such as caesar and the likes. The platter came with four pieces of 1/4 chicken. 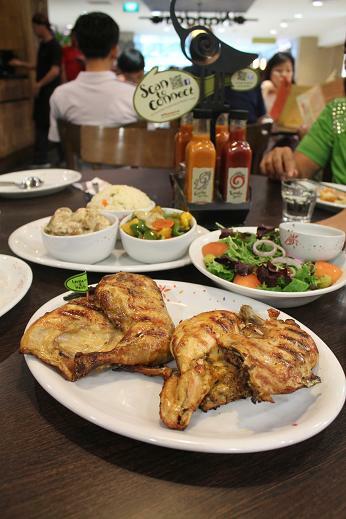 Choices of chicken were Extra Hot, Hot, Mild, and Lemon and Herb. I went with the latter as my mom can't take spicy food even the mildest ones. That's how we ended with the NOT SO BRAVE flag. LOL! Mediterranean fried rice, potato salad and grilled veggies. We were asked to chose three large sidelines. I went for Potato salad, grilled veggies and Mediterranean fried rice. My mom and Kyla ate very small portions so hubby and I had no choice but to eat more. We ended up taking home our left overs. I find it such a waste to just leave it. There are so many unfortunate people on earth who can't afford to eat 3 times a day. Think before you throw away food! 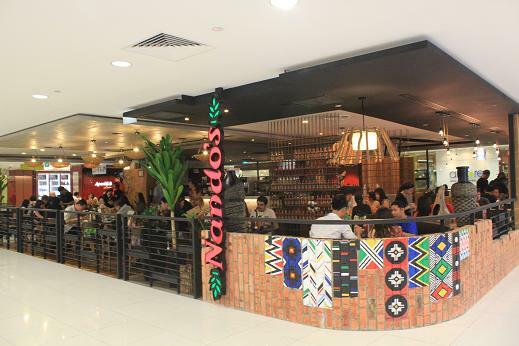 Nando's Chickenland, Tanglin branch was on yahoo news and created a buzz last year for charging local celebrity, Joanne Peh S$3.90 for a cup of warm water. I have been to that branch with my colleagues twice and I have to say the service isn't as fantastic as the Plaza Singapura branch. We were once denied of our table of choice. Before hubby asked for our water to be served, he made sure they are not going to charge us for it. LOL! What a great place to eat! The food looks delicious!! I loved your hubby asking if he'd be charged for water!! Wise man, your husband!! Sounds and looks as if all of you had a great meal, Cher!! Thanks for sharing the fun with us! hmmm everything looks delicious to me !!! my Filipino friend took me to one in West Auckland. Nice. Joanne Peh : may be she is now has been , not famous any more. I have been out of Singapore for 6 years, so I don't know. 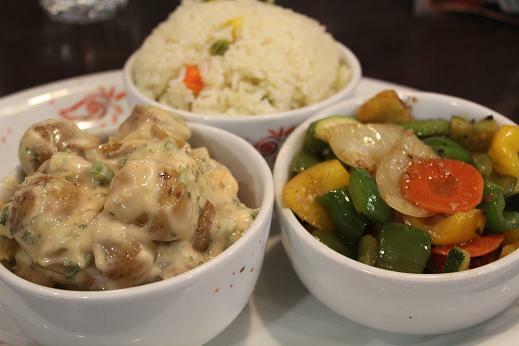 These are mouth watering dishes! 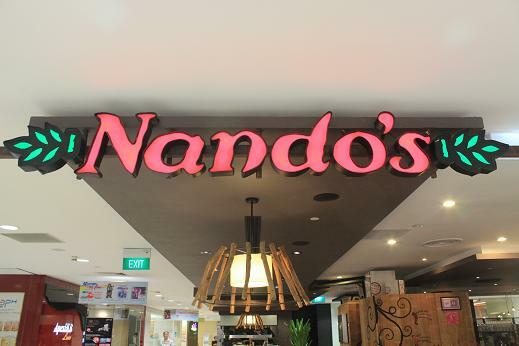 Bom Dia & warmest greetings from Nando's Singapore! Thank you for the lovely blog post, we hope you've enjoyed your meal with us. the food looks mouthwatering indeed. hope i could drop by @ this place sometime. it's always nice to get upadates from s.g from tot. ps: read your previous posts! yummy!! 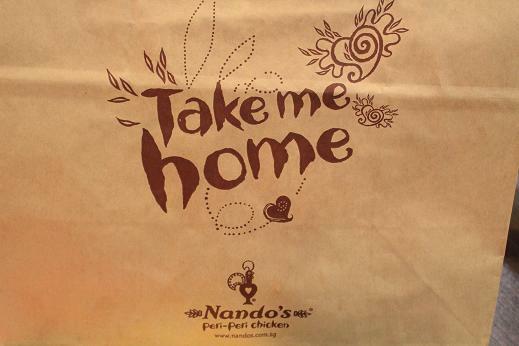 take me home indeed!! Looks like a cool place, all the dishes look delicious! The closest I got to enjoying Portuguese food is at Cabana Carioca in NYC. It's a popular Brazilian restaurant that I used to go to after theater.